Deflowering is done to increase fruit size and quality. Great to see a video of these techniques in practice. I didn't know about cleaning the little flowers off the individual bananas. Thought they just fell off. The literature suggest that the floral remnants act as a place for fungus to hang out. 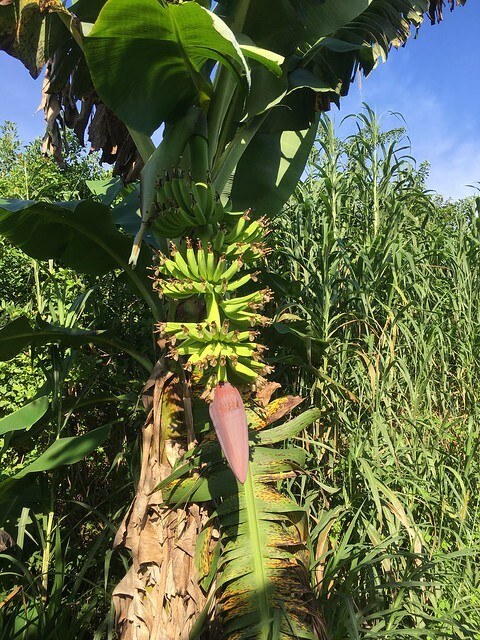 On Cavendish varieties and plantains deflowering can help control cigar-end rot. The flowers also serve as a hideout for thrips, which can be a big problem in the spring leaving little raised black dots all over the fruit. why take off the last couple bunches on the bottom too? As Hector said, The bunch fills out a little quicker and the fruits are a little bigger. If it was just for me, I might not do it. But...fruit buyers want big fruit. For dwarf superplantain, I always prune to 5 hands. I try to keep Hua Moa to five hands as well. On Dwarf Puerto Rican Plantain I leave the 3 fingered hand as the final hand. My goal this season is to document a lot of what I do on the farm. So pulling the little flowers off the ends really does something huh? Yes, at least in terms of thrips damage and decrease in cigar end rot. I actually left one one row over with all the flowers on it similar size, similar age. I will document the differences between the two. Can you expand a little bit or define what you mean by "leaves that will cause you any problems" that should be removed. Thanks! Leaves that are touching the fruits tend to cause scarring on the skin. 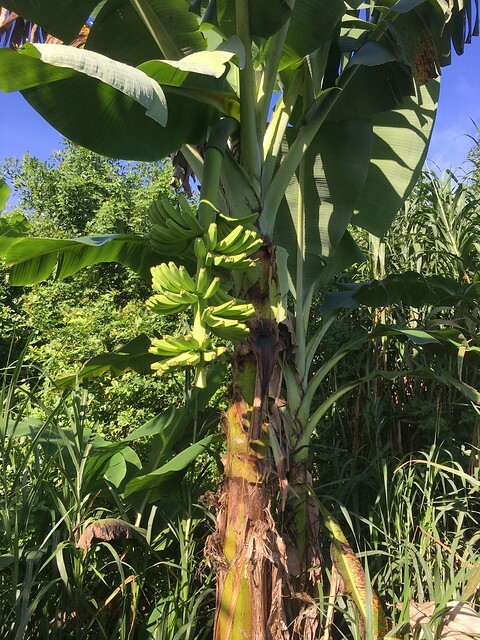 How are the immature bananas pruned? Are they broken off or cut from the little pad/platform or are they cut off altogether with the pad like how a hand is separated from the bunch? Thanks! Update: Just viewed Nick's video and see that he just breaks off the whole banana by hand. Last edited by Akula : 09-28-2018 at 12:25 PM. It's easier to break them off cleanly when they are young and newly emerged from the bracts. When they get a little older you are better off using a pruner or a knife.